As world trade accelerates, the merchant fleet is expected to burn more fuel in 2013 than it ever has. Bunker fuel is a ship owners’ largest cost, and this year this cost will potentially set records. These record-setting numbers with prove profitable for fuel oil suppliers including the Aegean Marine Petroleum Network, which is the largest independent fuel supplier. 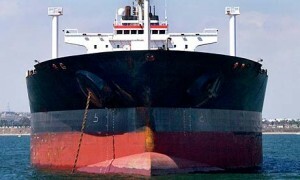 According to the research company JBC Energy GmbH, the demand for bunker fuel is forecasted to rise 2.2% to 3.37 million barrels a day in 2013. World trade is also expected to grow this year by 4.5%, from 3.2% in 2012 according to the International Monetary Fund. As world trade speeds up and demand gains, many vessels decide to sail faster which increases their fuel use. Sailing faster is beneficial in decreasing transit times and ultimately being able to process more freight in the same amount of time; however, there is a concern that this will not balance out the increased fuel expenses. Even though trade has been rising, there is still an excess of shipping capacity, which means that many carriers will continue to lose money. The amount of vessels currently in operation is already the most on record, and the merchant fleet is expect to rise by another 5% in 2013. This could prove difficult for ship owners since an oversupplied fleet makes it difficult to pass on increased bunker fuel costs to the shippers without freight demand to justify these rate increases.